Land Chiropractic is now carrying a new topical analgesic product for pain relief. CBD Clinic products are over-the-counter non-prescription ointments and creams that are FDA approved. 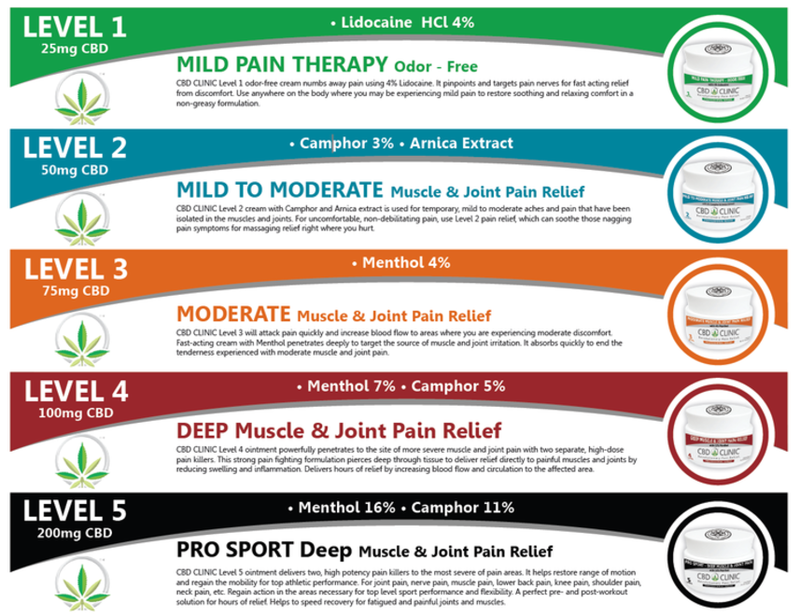 The ingredients selected for these products deliver quick pain relief upon application. Out of the 5 strengths, we carry levels 3 Moderate, level 4 Deep, and level 5 Pro Sport. If you enjoy any of these products, the office can order larger amounts for you.